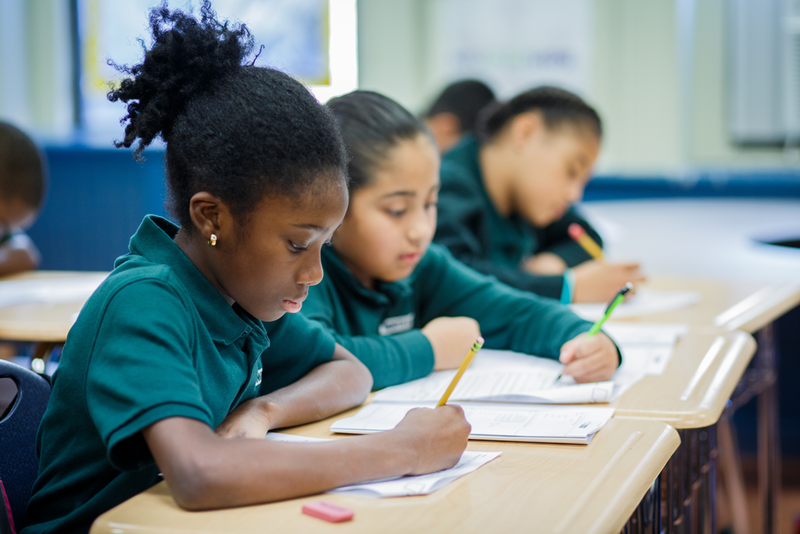 Students attending Uncommon Schools’ North Star Academy Charter School have reversed the education achievement gap with their higher income counterparts in New Jersey, according to PARCC scores released recently by the state Department of Education. Students at North Star Academy reversed the achievement gap with their higher-income counterparts in New Jersey. North Star Academy, with over 4,000 students in 11 schools in Newark, reversed the achievement gap in elementary and middle school math and English language arts. North Star Academy was the second highest performing charter school in math with 84 percent scoring Level 4 or 5 and fifth highest in English language arts with 73 percent scoring Level 4 or 5 among grades 3 and 4, while teaching more students than all other schools in the top 5 combined. North Star Academy’s third and fourth graders ranked in the top 1 percent with 84 percent scoring Level 4 or 5 in math and the in the top 12 percent with 74 percent scoring Level 4 or 5 in English language arts across the 1,400 New Jersey schools serving these grades. In addition, North Star High School students outperformed the rate of affluent New Jersey high school students on all six PARCC subjects. With 73 percent of students scoring Level 4 or 5, the high school is ranked in the top 7 percent statewide across high school English Language Arts in grades 9-11. Of the 364 schools where students took the Algebra II exam, North Star ranked in the top 7 percent with 71 percent of students scoring Level 4 or 5. Brett Peiser, CEO of Uncommon Schools, said the PARCC scores released by the state confirm that Uncommon Schools is making significant strides at closing the achievement gap in Newark. More than 86 percent of North Star students qualify for free- or reduced-price lunch and nearly all of the students are African American or Hispanic. The PARCC assessments are closely aligned with the more rigorous Common Core State Standards, which were adopted by the New Jersey Board of Education in 2010. The standards are designed to increase college and career readiness. The PARCC results also show that students at Alexander Street School, which North Star took over in the 2014-15 school year, are now outperforming the best schools in the state in math and nearly matching the statewide average in English language arts. 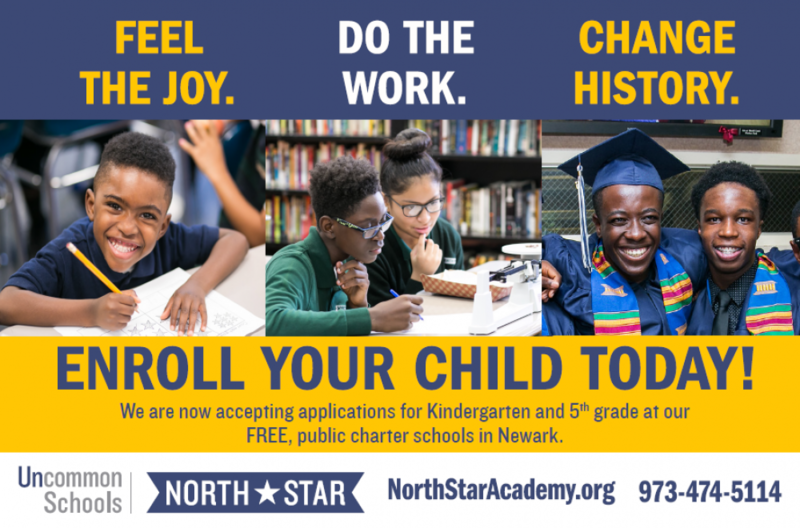 In Newark, North Star was the most requested school under the city’s universal enrollment program with half of all of all K-8 families choosing North Star on their enrollment form in 2015. In every category, North Star students have reversed the achievement gap with their affluent peers in the state. This is passing rates on PARCC compared with affluent students. This entry was posted in Uncategorized by uncommonnewark. Bookmark the permalink.